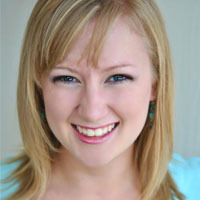 Christi holds a BFA in Musical Theatre from the Conservatory of Theatre and Dance at Southeast Missouri State University. She is a full time teaching artist and actress. Christi has studied dance, music, and theatre many years and still performs frequently both professionally and in community theatre. Christi has many years of experience in childcare as well, she has taught in a preschool setting, and held a full time nanny position for many years. She loves to teach because she loves introducing new generations of children to the world of performing arts.